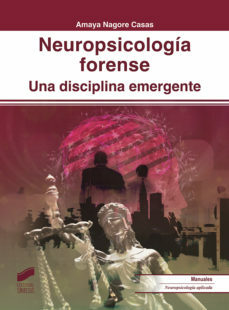 This Wednesday 27th March, the College of Psychologists of the Balearic Islands (COPIB) will be hosting the presentation of the recently published book “Neuropsicología forense” (Forensic neuropsychology) by Amaya Nagore Casas. The event will count with the input from the author Amaya Nagore Casas (forensic psychologist with the Ministry of Justice, clinical neuropsychologist and member of the Clinical Neuroscience research group of Segovia), as well as from Pilar Andrés (clinical neuropsychologist and coordinator of the Neuropsychological Group of the COPIB), Javier Torres (forensic psychologist), and María José Catalán Frías (Dean of the College of Psychologist for the region of Murcia, and President of the Association of forensic psychologists of the Justice Administration). The event will take place in Spanish. 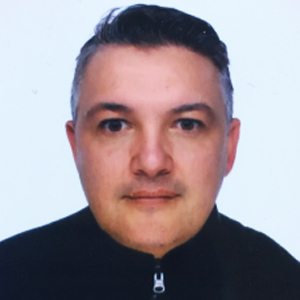 A new study led by Fabrice Parmentier and just accepted for publication in Frontiers in Psychology shows that the beneficial effects of mindfulness on symptoms of depression and anxiety are in part mediated by emotional regulation (reappraisal and suppression), worry and ruminations. Based on data collected from a large international sample of adults with no reported history of psychiatric disorder, the authors showed that dispositional mindfulness was associated with lower levels of depression and anxiety, and that this relationship was in part accounted for by the mediating effect of mindfulness on reappraisal, suppression, worry and rumination. Interestingly, the results also show that mindfulness meditation practice did not reduce depression or anxiety directly (instead, its effect was indirect, through a positive association with mindfulness). The present study examined the effects of mindfulness on depression and anxiety, both direct and indirect through the mediation of four mechanisms of emotional regulation: worry, rumination, reappraisal and suppression. Path analysis was applied to data collected from an international and non-clinical sample of 1151 adults, including both meditators and non-meditators, who completed an online questionnaire battery. Our results show that mindfulness are related to lower levels of depression and anxiety both directly and indirectly. Suppression, reappraisal, worry and rumination all acted as significant mediators of the relationship between mindfulness and depression. A similar picture emerged for the relationship between mindfulness and anxiety, with the difference that suppression was not a mediator. Our data also revealed that the estimated number of hours of mindfulness meditation practice did not affect depression or anxiety directly but did reduce these indirectly by increasing mindfulness. Worry and rumination proved to be the most potent mediating variables. Altogether, our results confirm that emotional regulation plays a significant mediating role between mindfulness and symptoms of depression and anxiety in the general population and suggest that meditation focusing on reducing worry and rumination may be especially useful in reducing the risk of developing clinical depression. This work was carried out thanks to a research grant from the BIAL Foundation. A stimulating meeting for psycholinguists and others interested in links between their domain of research and psycholinguistics (my case)! Keynote speakers: Judith Kroll, Angela Friederici, and Manual Carreiras. Congratulations to Laura Gallego and Francisco Guillem who are joining our group as undergraduate student collaborators. Laura will be participating in a research project on attention and distraction led by Fabrice Parmentier. Francisco will participate in a project on the early diagnosis of Alzheimer’s disease led by Pilar Andrés. In a study by Vasilev, Parmentier, Angele and Kirkby just accepted for publication in the Quarterly Journal of Experimental Psychology, we investigated the effect of deviant sounds on eye movements during a reading task. Our study shows for the first time that unexpected sounds caused longer fixations on the word immediately following this sound, which we interpret as the result of a disruption of the programming of the next saccade. This work is part of a collaboration with Martin Vasilev, Berhnard Angele and Julie Kirkby from Bournemouth University. Abstract: Oddball studies have shown that sounds unexpectedly deviating from an otherwise repeated sequence capture attention away from the task at hand. While such distraction is typically regarded as potentially important in everyday life, previous work has so far not examined how deviant sounds affect performance on more complex daily tasks. In this study, we developed a new method to examine whether deviant sounds can disrupt reading performance by recording participants’ eye-movements. Participants read single sentences in silence and while listening to task-irrelevant sounds. In the latter condition, a 50-ms sound was played contingent on the fixation of five target words in the sentence. On most occasions, the same tone was presented (standard sound), while on rare and unexpected occasions it was replaced by white noise (deviant sound). The deviant sound resulted in significantly longer fixation durations on the target words relative to the standard sound. A time course analysis showed that the deviant sound began to affect fixation durations around 180 ms after fixation onset. Furthermore, deviance distraction was not modulated by the lexical frequency of target words. In summary, fixation durations on the target words were longer immediately after the presentation of the deviant sound, but there was no evidence that it interfered with the lexical processing of these words. The present results are in line with the recent proposition that deviant sounds yield a temporary motor suppression and suggest that deviant sounds likely inhibit the programming of the next saccade.